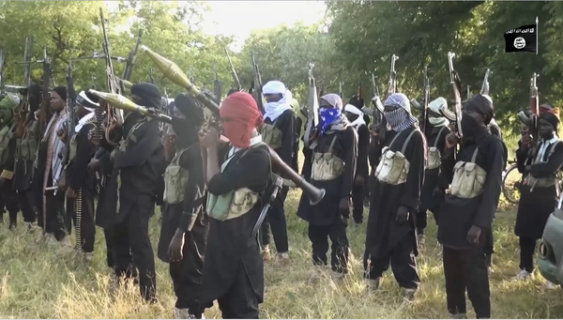 Boko Haram insurgents have been on rampant rampage in recent months, with various bomb attacks taking place in several parts of the North East, and many lives snatched untimely. It is more worrying that the insurgents have spread out into towns just as the nation’s armed forces are flushing them out of their enclaves in Sambisa Forest and environs. Since May 29, when President Muhammadu Buhari came into power, the insurgents have carried out more back-to-back attacks than at any point since their inception. One wonders if these terrorist are on a mission to send out a message of- we can strike you in many ways- to the ruling government, just as the Army strives to end their menace. Here are some of the worst Boko Haram attacks since Buhari became President. This attack took place on a Friday, the 2nd of October. The insurgents attacked a police station and a market, leaving at least 13 people dead and 20 injured. Almost immediately there was another explosion in Nyanya, where two people lost their lives while 19 others were injured. On September 24 which was the Sallah holiday, the insurgents struck, by attacking Baga and Monguno, in Maiduguri, killing several people and leaving a lot more injured. On September 27, insurgents of the Islamic terrorist sect attacked the village of Mailari,in Konduga local government, killing 9 people and leaving 10 injured. On June 17, the insurgents invaded Lamina and Ungumawo in the Diffa region on Wednesday, and also set houses on fire during the attack after shooting at residents of the area. 38 civilians were reported killed while 10 of that total number of casualty were children. On June 11, the insurgents raided 6 villages in Borno state, killing 37 people in separate attacks on Koshifa, Matangale, Buraltuma, Darmanti, Almeri and Burmari villages all within Damboa local government area. On June 17, a bomb went off in Monguno, Borno state, killing several members of the civilian Joint Task Force and residents. The bombs were kept in an abandoned sack containing improvised explosive devices. On the 23rd of June, at least 35 people were killed and several were injured when the militants attacked Nwannwaji village in the Gujba local government area of Yobe state and another explosion took place in Debiro, in Hawul Local Government of Borno state. On 2nd July, about 145 people lost their lives in an attack on two villages, Mussaram-1 and Mussaram-II in Monguno local government. Boko Haram insurgents were reported to have rounded up all the men in the villages and opened fire on them.